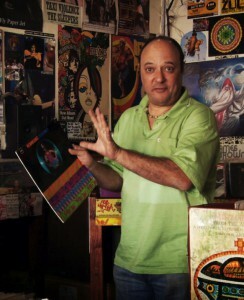 Stephen Segerman who tracked down Rodriguez. Copyright Sony. There’s an uplifting story connecting Detroit and Cape Town that came into sharp focus this past Sunday evening. 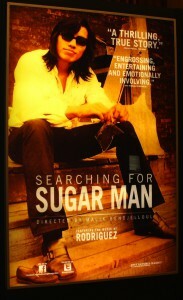 At the 85th Academy Awards in Hollywood, the Oscar for the Best Documentary Feature was awarded to Searching for Sugar Man, a biography about Sixto Rodriguez. In the late 1960s Rodriguez, a singer songwriter living in the Motor City, recorded two records, Cold Fact and Coming From Reality, that received positive reviews but went nowhere in America. However, unbeknown to the artist, he was an icon in apartheid South Africa in the early 1970s, said to be more popular than Elvis or the Beatles. The enigmatic Sugar Man. Copyright Sony. If you haven’t yet seen the movie, do yourself a favour, go and see it. Searching for Sugar Man tells the story of a genuinely humble musician — he chose to skip the Oscar ceremony so as not to steal the limelight from the director and producer — who transcended his life’s circumstances. Whether one is an artist or a scientist or an up-and-coming business executive, we can all identify with such inspirational stories.